Mathematician Alan Turing invented an imaginary computer known as the Turing Machine; in an age before computers, he explored the concept of what it meant to be computable, creating the field of computability theory in the process, a foundation of present-day computer programming. 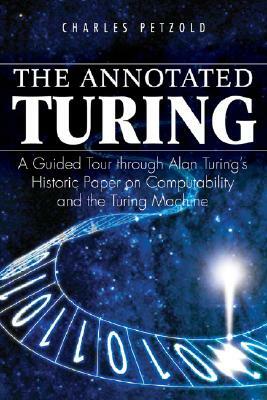 The book expands Turing's original 36-page paper with additional background chapters and extensive annotations; the author elaborates on and clarifies many of Turing's statements, making the original difficult-to-read document accessible to present day programmers, computer science majors, math geeks, and others. Interwoven into the narrative are the highlights of Turing's own life: his years at Cambridge and Princeton, his secret work in cryptanalysis during World War II, his involvement in seminal computer projects, his speculations about artificial intelligence, his arrest and prosecution for the crime of "gross indecency," and his early death by apparent suicide at the age of 41. English mathematician Alan Turing (1912-1954) is the author of the 1936 paper "On Computable Numbers, with an Application to the Entscheidungsproblem" that introduced the imaginary computer called the Turing Machine for understanding the nature and limitations of computing. His famous 1950 article "Computing Machinery and Intelligence" introduced the Turing Test for gauging artificial intelligence. American writer Charles Petzold (1953-) is the author of the acclaimed 1999 book Code: The Hidden Language of Computer Hardware and Software, a unique exploration into the digital technologies of computers. He is also the author of hundreds of articles about computer programming, as well as several books on writing programs that run under Microsoft Windows. His Web site is www.charlespetzold.com.